Choose from a rainbow of colors with our Duct Tape! This strong adhesive tape is easy to tear and ideal for virtually any household project - indoors or out. Our wide selection of colors makes Duck Tape a great idea for identifying moving boxes or to draw attention to needed repairs. Our Decorative Glitter Tape is the perfect finishing touch for many of our spectacular Gift Wraps . 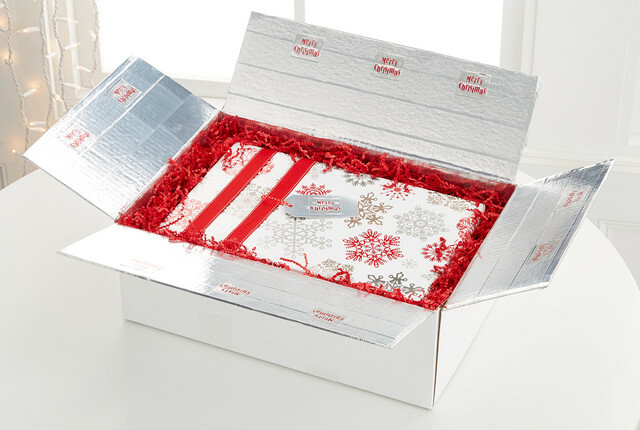 Personalize your gift presentations with coordinating Tags & Enclosures . Use our Multi-Surface Painter's Tape for any packing or moving job to tape mirror and glass frames, metal, wood, ceramic or painted surfaces without leaving a sticky mess behind. For those loved ones that live far away, the holidays can be hard to celebrate with all the usual seasonal excitement. And it's no wonder, shipping gifts over the holidays can be tough, and the excitement of waiting for a present under the tree isn't quite there when it arrives in a box stuffed with packing peanuts. But we believe that you still can bring the excitement of a wrapped gift under the tree, even from far away. We've put together a collection of creative DIY shipping ideas that make every delivery feel so much more special.